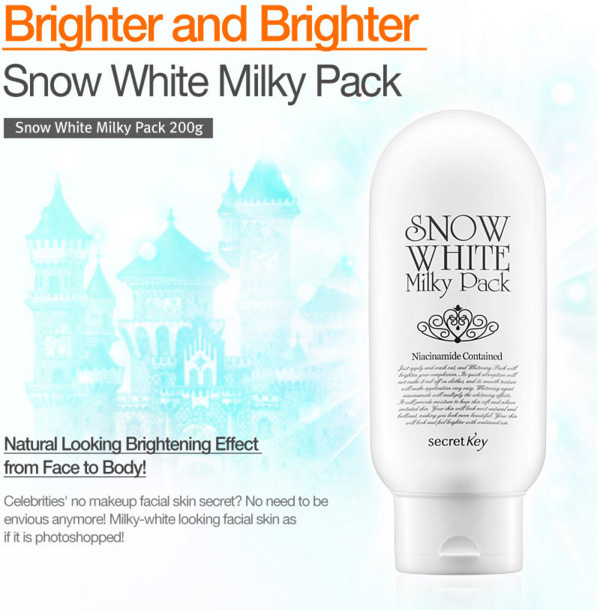 Radiant your Skin Care with the [Secret Key] Snow White Milky Pack 200g! we aim to provide you best korean products to take good care of your skin, including Cosmetics, Skincare, Cream. Hydra Cream online. 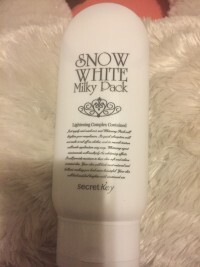 Practical product that is able to used on the face and the body where brightening is needed. 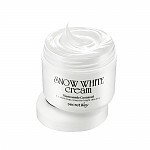 It will produce moist and milky-white looking skin with constant use. 2. 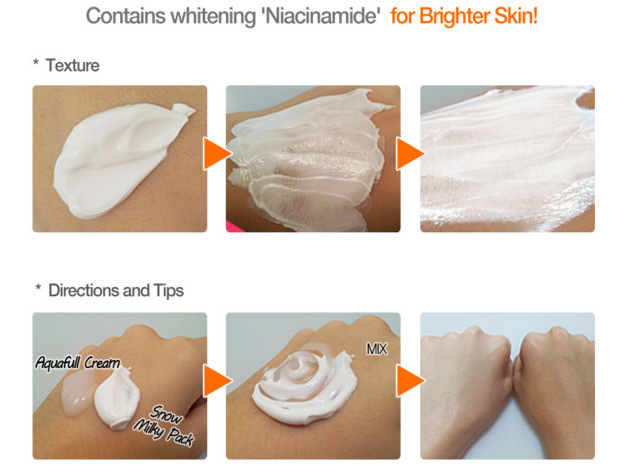 Contains Niacinamide for brightening the skin. helps keeping skin clear and bright. 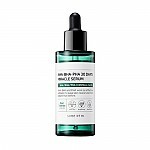 it contains sodium hyaluronic acid which helps keep skin hydrated for a long time. 1. 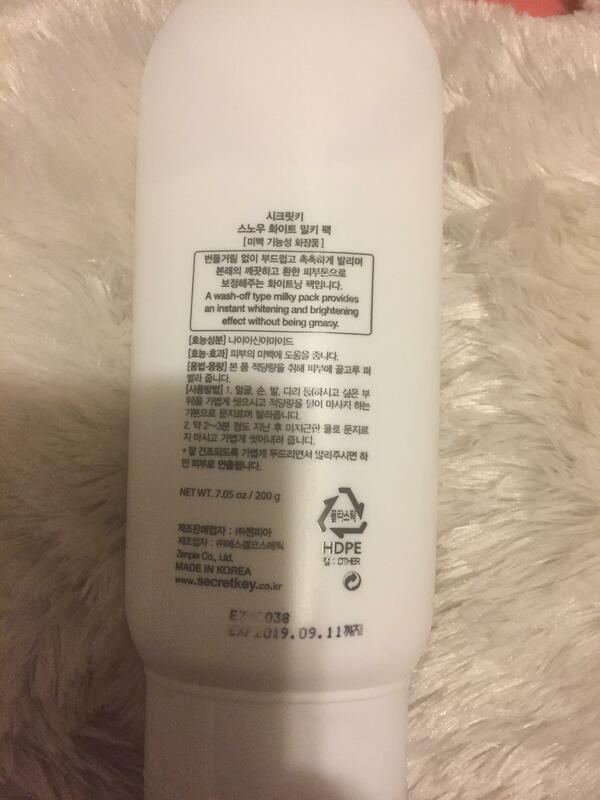 Wash the areas you want to apply the product on then apply over the said areas and rub in massaging motion. 2. Leave on for 2-3 minutes then cleanse with warm water without rubbing. 3. Gently tap the skin while drying for milky-white skin. Onl…@gmail.com This product really makes your face Stewie and soft and nice and smooth. It is a great make up bass one con is that it does leave a white cast but it’s OK because once you put your color foundation or your BB cream it won’t matter. 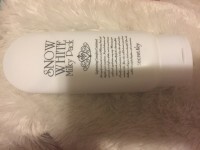 But the best thing about this product is that it makes your face so pretty and Dewy.